(Syracuse, NY) – During their 2008 annual meeting, the members of the Future Fund of Central New York awarded a $5,000 grant to the Building Men Program at Levy Middle School, a nonprofit program that captured the spirit of the emerging philanthropists group’s 2008 focus area of supporting, developing and promoting the success of underprivileged teens and pre-teens. Since 2005, the members of the Future Fund, have provided $20,000 in grants to take on community “focus areas” while working to expand the area’s charitable footprint. Partnering with the Central New York Community Foundation since 2004, the Future Fund is a membership giving circle, where concerned citizens come together to leverage the strength of the group, maximize the power of their charitable giving and to make a positive impact on their community. Currently, there are roughly 50 Future Fund members, with room for more! Annually, the Future Fund’s members use a democratic process to nominate and select a community “focus area” and issue an RFP for solutions that address that area. Tax-exempt, not-for-profit 501(c) (3) organizations serving Onondaga or Madison counties are invited to apply through the Central New York Community Foundation. The applications are discussed and voted on by the Future Fund’s membership. In 2008, the Future Funds members voted to “support, develop and promote the success of underprivileged teens and pre-teens.” Ultimately, the Building Men program was chosen by the group. In 2007, to support “Healthy Families,” the Future Fund’s members voted to provide a $5,000 grant to Contact Community Services for their “Parenting Teens” program, which will provide parents with a network to share their challenges, strategies and successes in building healthy child-parent relationships. In 2006, to promote “Diversity Education,” Catholic Charities received a $5,000 Future Fund grant to support the Refugee Resettlement Program’s summer outreach to recent immigrant teenagers, who were invited to learn about American culture and traditions prior to their first American school year. In 2005, to focus on “Entrepreneurship,” the Future Fund’s members awarded a $5,000 grant to Home Headquarters for its Construction Mentoring Program to help minority small contractors develop their businesses. In the spring of 2008, the Future Fund’s members completed their goal of permanently endowing a charitable fund at the Community Foundation. The group’s $100 annual membership fee for individuals goes directly towards building this charitable endowment which will provide a permanent source of funding for the group, and future generations, to take on community issues. As the group builds the capacity of its charitable fund to generate grants from interest income, some generous matching donors interested in ensuring the future philanthropic base for our community – Norman & Joan Poltensen (CNY Business Journal), Paul & Gail Cowley (Cowley Associates), Jack & Linda Webb (Alliance Bank), Kevin McClave from LeMoyne College, and Lockheed Martin – have provided matching funds, underwriting the annual grants. Their generosity has allowed 100% of the money contributed by Future Fund members to go towards their endowment building effort. The Future Fund of CNY concept borrows a best practice from several other communities where citizen groups have successfully partnered with community foundations to address local issues. According to the Washington, D.C.-based New Ventures in Philanthropy, giving circles are one of the fastest growing philanthropic trends nationwide. In Abilene, TX, a group of young professionals established a future fund with their local community foundation. In its first nine years, the group awarded more than $121,000 in community improvement grants. In Greensboro, NC, young leaders have already awarded more than $146,000 in grants to take on issues, like how to improve the lives of children and youth, investing in downtown revitalization, and attracting and retaining young adults to the area. 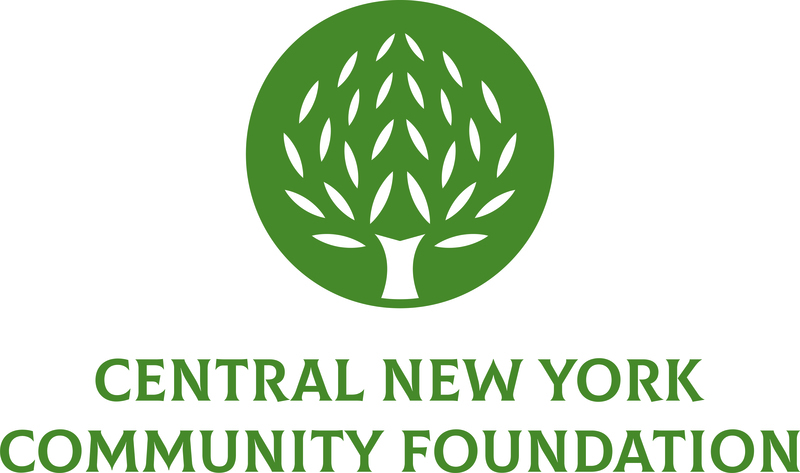 The Future Fund of Central New York is a component fund of the Central New York Community Foundation. The Central New York Community Foundation has served Onondaga and Madison Counties for over 80 years, receiving, managing and distributing charitable funds for the benefit of not-for-profit organizations. Grants are awarded for programs in the areas of human services, arts and culture, education, environment, health, economic development and civic affairs. The Community Foundation has over $110 million in assets and awards over $5 million in grants to not-for-profit organizations annually. Are You an Emerging Philanthropist? Other emerging philanthropists interested in learning about the Future Fund may contact Stephanie Parzych, at the Community Foundation, 315-422-9538, ext. 232, futurefund@cnycf.org, or visiting http://www.cnycf.org.